We pride ourselves on delivering the best hospitality in a friendly environment. At the Furlong we are committed to welcoming customers old and new with the upmost professionalism and great customer service. Our staff are looking forward to serving you with our new fantastic range of drinks, great offers, delicious menu and events. 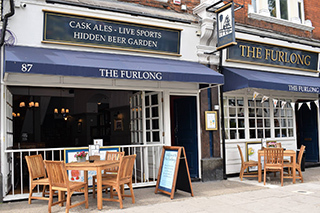 Welcome to The Furlong, we are a family run, Family friendly pub and pride ourselves on making you feel at home. 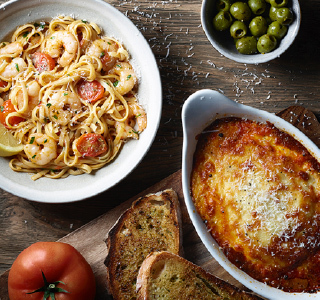 Our family will go out of their way to make your visit with us the best it can possibly be, from our delicious menu to our amazing entertainment, we have it all covered! Your new local shows all the best live sports featuring a projector for all the big games. At the weekend we have an array of talented musicians and live bands to dance to. Plus, karaoke and quiz nights and not to mention board games, darts and a pool table if you’re feeling competitive. If you’re lucky you might even find our beautiful secret garden….. So if you’re looking for the best place to watch the game, a night of live music or a Sunday lunch with the family, The Furlong does it all! 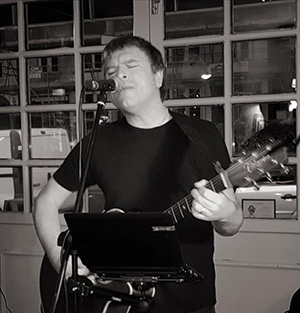 We have a brilliant line up of live music and events on Thursday’s, Friday’s and Saturday nights; Including karaoke with Ian Houston, quiz nights, live music and much more! Please check our Facebook page for information on this week’s brilliant events!